Executive level background investigations conducted by Worldwide Intelligence Network involve a much deeper level of intelligence gathering apart from a basic background check. In addition to what various databases provide, we will conduct in-person interviews with spouses, ex-spouses, former employers, co-workers, associates, colleagues, former business partners, family members, and friends of a subject when the investigation warrants that degree of scrutiny. Our clients’ concerns dictate the depth of our background investigations. Many of our executive level background investigations involve an international effort, such as research on all social media overseas, international credit ratings, foreign assets and civil and criminal court case research that vary from country to country. Our national executive level background investigations involve examining all available data in every city and county where the individual of interest has resided. 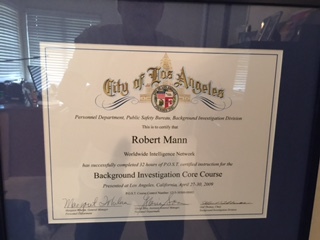 For the past twenty-five years, our investigators across America and around the world have proven to be extremely competent in acquiring vital intelligence on high-net-worth individuals, potential key personnel, board member candidates, investors and principals associated with mergers and acquisitions. Many of our investigators are former government agents and law enforcement officers. Part of our training requires obtaining a POST Certification Core Course Certificate from the department that screens law enforcement candidates for the Los Angeles Police department. We also abide by all federal laws concerning background investigations. The Internet provides a vast amount of information such as that found in Wikipedia. Wikipedia acquires its information from alleged experts and volunteer editors who contribute information about a person they know, studied or researched. For the most part, the information provided in Wikipedia is accurate but Wikipedia does not conduct in-person interviews, and it does not investigate national and international court jurisdictions for civil or criminal records nor corporate filings of various business entities. This level of intelligence can only be acquired by an investigative company like ours that has the resources and ability to delve deep into an individual’s background. The absolute right time to initiate a background investigation is before becoming involved with a potential partner, a high-net-worth individual or a new company. The repercussions of not having a background investigation conducted can be extremely detrimental not only financially but also emotionally especially if you are sued or you are compelled to file a lawsuit. 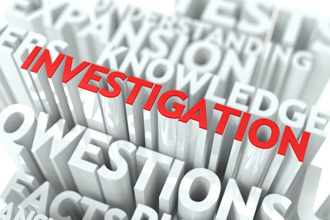 We have received hundreds of investigative requests over the past twenty-five years from clients who failed to background investigate someone before becoming involved with them or their company. Those clients seeking our investigative assistance were incurring enormous legal fees after being bilked out of a significant amount of money and/, or they had become victims of a fraud or embezzlement. In some instances, their adversaries were attempting to take over their business. We found that those clients had become emotionally caught up and overly excited over what appeared to be a great business venture without having any knowledge of whom they were getting involved with. Think about how fortunate you would be if you avoided a disastrous business deal because you had the presence of mind to conduct an executive level background investigation. We often refer to the adage, “look before you leap” we encourage you to be informed with a background intelligence investigation report performed by our international team of specialists. “Again , I am really grateful you took the call , Expressed a sense of genuine care in taking the time to really Listen and tried to help in guiding me in the right direction . Above all , for your unbiased attention and not brushing me off due to social status or lack of “real” money . I know you work with people of elite status , and I can’t Thank you enough for your Time… Although I am not much of a social media person, I will create a Google account and write a very good review for you. And most definitely keep you in mind for future services if needed and highly recommend your services. “ – Leticia B.